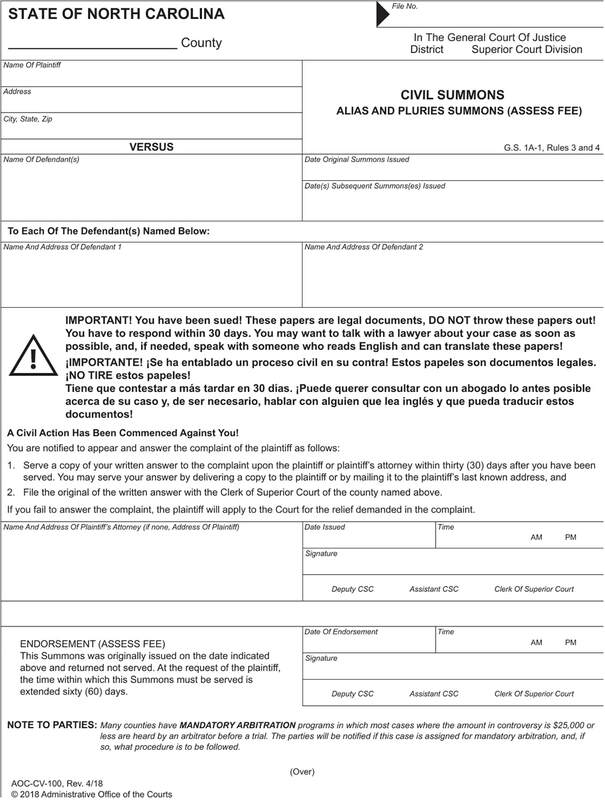 This software program produces the Civil Summons, which is used extensively throughout North Carolina in most Civil cases. All information entered is captured in a database which can be retrieved at a later date, and then automatically completes the AOC "PDF" document. 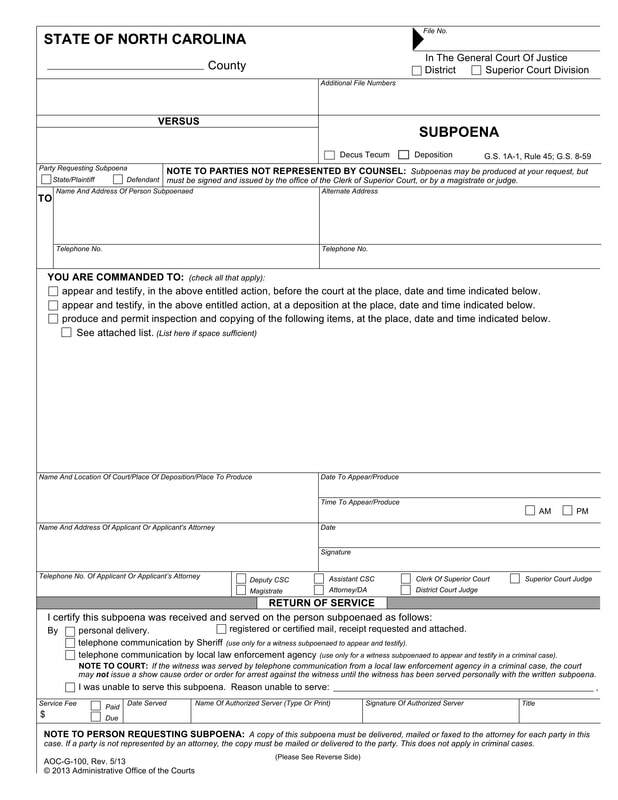 This software program produces the Subpoena Form, which is used extensively throughout North Carolina in most Civil and Criminal cases. All information entered is captured in a database which can be retrieved at a later date, and then automatically completes the AOC "PDF" document. To subscribe by mail, simply calculate the total subscription amount and mail your check payable to ADVANCED LEGAL SOFTWARE to P. O. Box 347, Carolina Beach, NC 28428. Be sure to note which software program and/or package you are ordering. We will mail you a CD containing the programs you ordered, along with registration numbers.